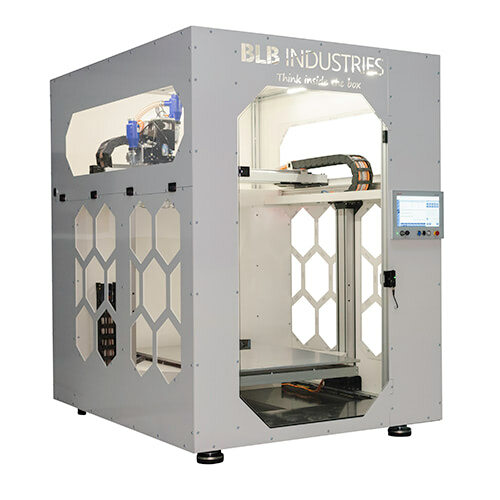 – Granular extruder, this 3D printer uses FGF (Fused Granular Fabrication). This reduces reduce material costs and gives a wider range of plastics to choose from. 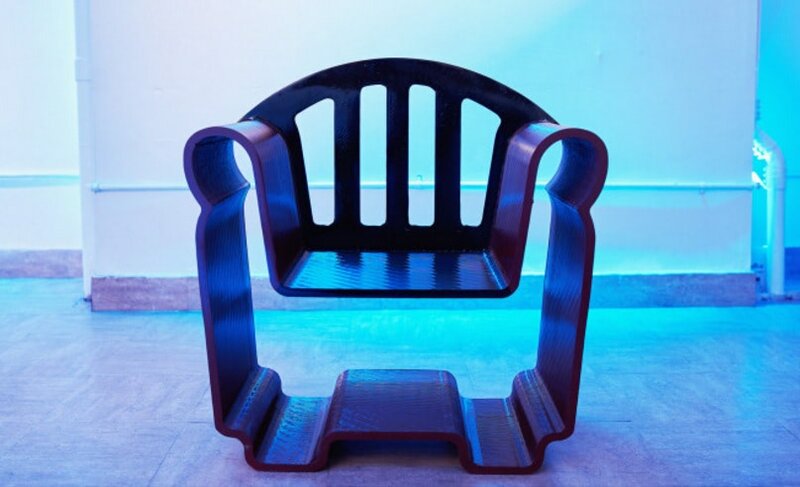 A custom bar chair in the shape of the logo of Blowtech AB. 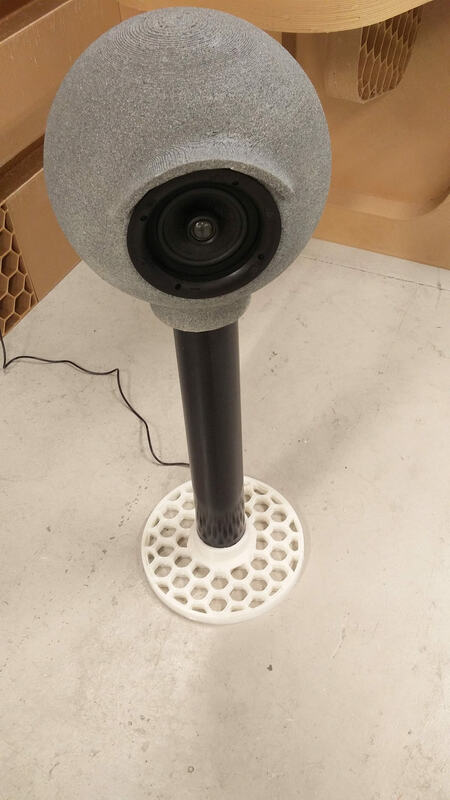 A 3D printed bluetooth speaker mount. This statue was printed based on a 3D scan. 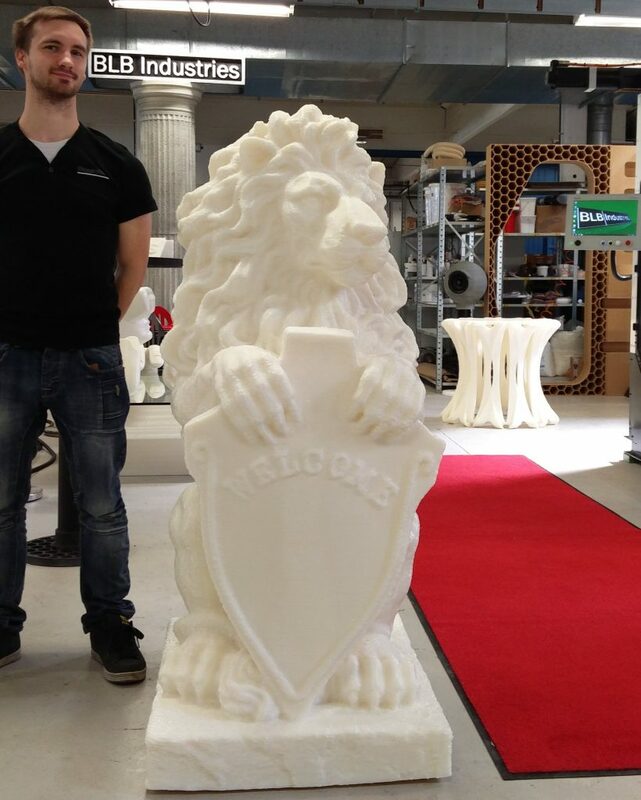 The lion weighs around 120 kg and took approximately 30 hours to print with a 4 mm nozzle. 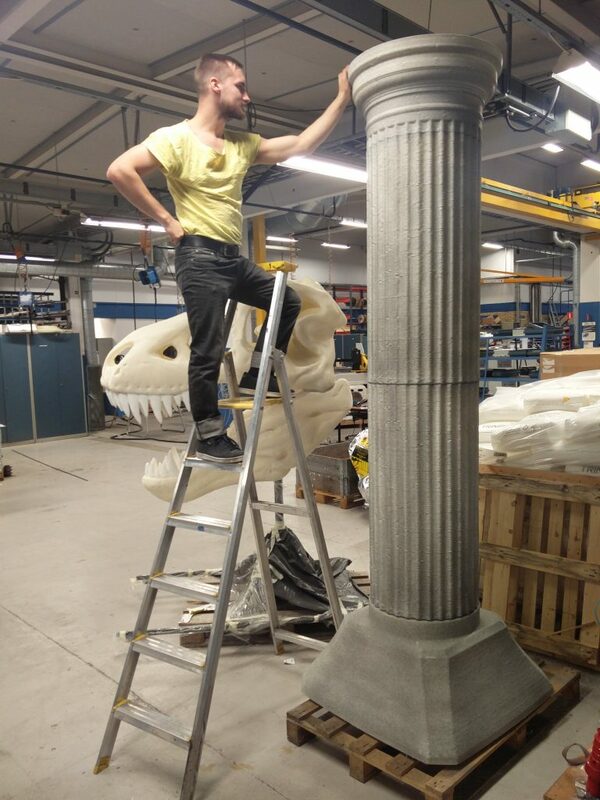 This 3D printed roman pillar is divided into several parts; the foot, two middle sections, the crown and four separate signs. The complete pillar weighs 133kg. Awesome machines, you can’t understand the size of them until you are standing a dozen people inside one of there machines! I am using their MediBOX machine. The buid rate is very fast with good potential for mass production of custom devices. Can Small products be prepared on the large machine?